Anthony Davis is best described as a lawyer's lawyer. Mr. Davis is a member of the Lawyers for the Profession® practice group and his practice focuses on the laws that govern lawyers. He advises attorneys and law firms on legal professional and ethics issues, law firm creation, merger and dissolution, risk management and loss control. Mr. Davis is a Lecturer-in-Law at the Columbia University School of Law, teaching "Professional Responsibility Issues in Business Practice." As an Adjunct Professor of Law, Mr. Davis taught "Legal Profession" at Brooklyn Law School for many years. Mr. Davis has served as a member of the New York City Bar Professional Ethics Committee and is a former Chair of the Professional Development Committee. Mr. Davis is popular lecturer and panelist, drawing on his many years of teaching experience when speaking to bar associations and law firms throughout the United States on all aspects of professional responsibility, the law as it affects lawyers, law practice and risk management. Mr. Davis is the co-author of "Risk Management: Survival Tools for Law Firms, 3rd Edition," and of "The Essential Formbook: Comprehensive Practice Management Tools for Lawyers," both published by the American Bar Association. 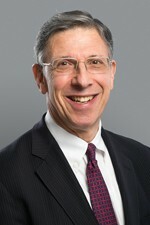 In addition to his books, he has written and lectured widely on a variety of legal profession and ethics issues, including a regular bi-monthly column on professional responsibility in the New York Law Journal.